How to add a stylish responsive drop down menu in blogger, menu for blogger, menu adding tutorial, drop down menu for blogger, 101Helper gadgets for bloggers. I have shared many gadgets but this one is no.1. 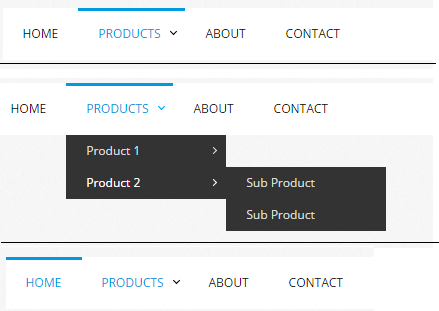 Its a responsive drop down menu, many bloggers search responsive menus for their blogs as it looks cool and attracts users but they are disappointed because on many websites there are codes of the menu but these codes doesn't work. Today bloggers are in competition with each other for traffic, but traffic isn't every thing, a successful blogger not only focus on his blog traffic but also his blog impression and look. 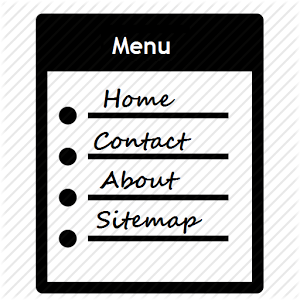 A menu navigates users in a blog as it divides blog into categories so a visitor can find his interests easily. You can find many menus on internet and many websites provide menu codes but doesn't give method of adding the menu on blog, so in this post I will tell you how to add a stylish responsive drop down menu to your blog. How to add this menu to your blog? Step 1: Go to Blogger Dashboard and click Layout. Step 4: After following step 3 copy the below code and paste it above </head> in your blog template by going to template option and clicking on edit html. Step 5: Copy the below code and paste it below </header> in the template of your blog but if you wish the menu to appear below your blog title or blog but if you want it to show anywhere else simply copy below code and paste it there. Step 7: Click Apply to blog and you are done! How to customize this menu according to your choices? Similarly to add more tabs simply add <li><a href='#'>About</a></li> and replace About with the text which you want to display and # with the destination link of that tab. For example if you have a category and you wish to display it in the menu then replace About with the name of that category and # with link of that category. Note: Make sure to save the gadget after every change you make in the code. You can also make changes in color of the tabs in Css code(step6) but I suggest you to not do that unless you have a little knowledge about css and codes of the colors because this may cause menu disappear. Thanks for visiting 101Helper, visit again for more gadgets and widgets, follow and subscribe for latest updates. If you have any problem regarding this post ask me in comments. Recommend this post on Google by clicking g+1 and help 101Helper grow. Tags: How to add a stylish responsive drop down menu in blogger, menu for blogger, menu adding tutorial, drop down menu for blogger, 101Helper gadgets for bloggers. Nice post,but is this menu responsive which adapts to mobile size? No, sorry it is not for mobile site....check out 101Helper menus, you will find mobile menus there.